The comics community lost a legend. Stan Lee, co-creator of many of Marvel’s established comic book characters, passed away at age 95 at the Cedars-Sinai Medical Center in Los Angeles. His death was confirmed by Kirk Schenk, attorney for Lee’s daughter, J.C. Lee. Lee is best remembered for collaborating in the creation of such household names as Spider-Man, Thor, the Incredible Hulk, the Fantastic Four, and more. Stan began his comics career in 1939 as a gofer at Timely Comics, which later became known by the brand name of Marvel Comics. “In between refilling artists’ inkwells, erasing pencil lines from comic pages and fetching an untold number of lunches, Stanley expressed his desire to write and create tales of his own,” wrote Disney Parks Editorial Content Director Thomas Smith in a blog post. “In the May 1941 issue of CAPTAIN AMERICA COMICS #3, he got his wish. Readers would find a prose story in that issue, ‘Captain America Foils the Traitor’s Revenge,’ sporting the byline of ‘Stan Lee. '” Lee worked his way up as a creative, even when serving in the U.S. Army Signal Corps as a writer of manuals and posters. He later rose to the position of vice executive president of Marvel and served as a company figurehead after retirement. 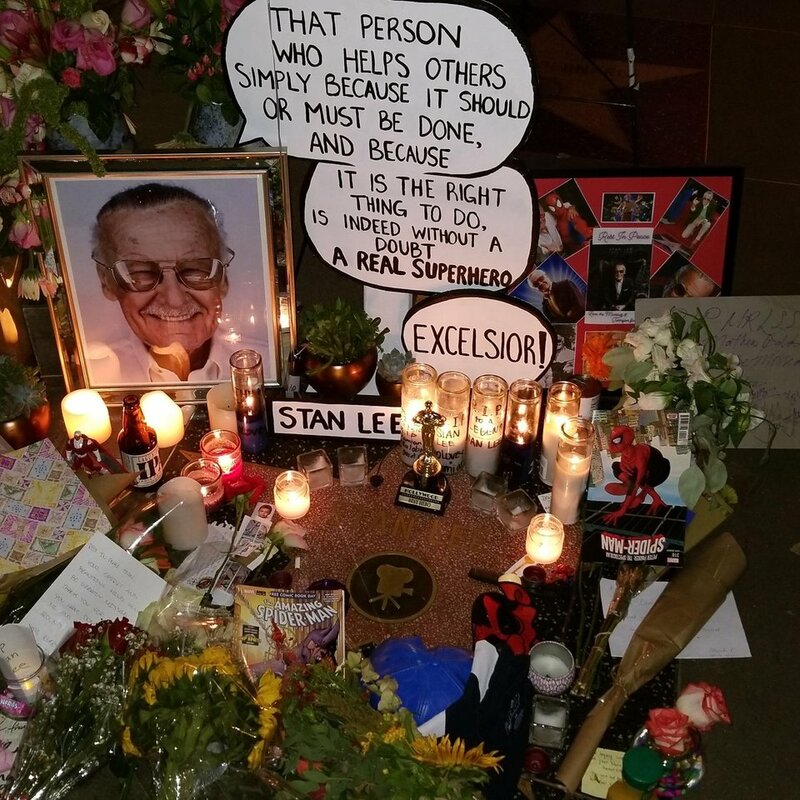 Without Stan Lee, the comics community would be a very different place than it is today. When many comic book heroes had become two-dimensional by the 1960s, Lee humanized them. In a 1992 interview with the Washington Post, he said, “I tried to make them real flesh-and-blood characters with personality, which should not be considered radical. That’s what any story should have, but comics didn’t up to that point, they were all cardboard figures. Make them real, give them personality. Give them problems.” Today, comic book characters are every bit as complex as those found in novels and films. One of Stan Lee’s most important legacies is that he created truly heroic characters with virtues. As “heroes” become less and less heroic in current comics and films, fans need some old-fashioned role models again. Some say that the pen is mightier than the sword, but Andy Poole brandishes both. He lives in Raleigh, NC where he writes fantasy stories from a second-story room doubling as a library and Medieval armory. His writing style is inspired from influences as varied as Victorian Gothic literature and 80s thrillers like Miami Vice. When he's not building new worlds or saving our own, he likes to interact with his followers through Facebook at https://www.facebook.com/andypoolethewriter and Twitter at @andypoolewriter. You can also reach him at by email at andypoole@legendariummedia.com.